During his early career, he featured in a variety of television programmes and theatre productions. Although he had acted in a number of small independent films, his real break came when he audition to play Thor in Branagh’s film. Despite going through a strenuous exercise regime and diet to put on the muscle required to play the character, Branagh decided that Hiddleston was more suited to play Thor’s brother, Loki. When Hiddleston found out he had been offered the part, he caused an uproar in what he described as ‘a grizzly pub’ by screaming at the top of his voice. Subsequently, Hiddleston’s career took another massive leap when he reprised his role as Loki in Joss Whedon’s Avengers Assemble which grossed over $1.5billion worldwide, making it the third highest grossing film of all time. Apparently, in one famous scene from the end of the film, where Loki has an altercation with the Hulk, the shocked look on Hiddleston’s face was created by the animation direction shaking him violently and repeatedly. 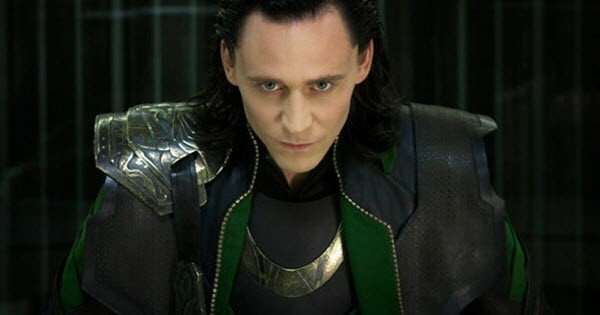 His portrayal of super-villain, Loki, in this film is largely accepted to be one of the reasons for the film’s overwhelming popularity. Most recently, Loki appeared in Alan Taylor’s sequel, Thor: The Dark World, where he and Thor have to team up to defeat a fearsome enemy. Again, Hiddleston is in danger of stealing the show with his wonderfully charismatic portrayal of this sarcastic, devious and very likeable rogue. A memorable moment in this film is when Loki transforms himself to imitate the Avengers hero, Captain America. To create this scene, Hiddleston insisted on wearing the Captain’s famous costume, even though it was not strictly necessary, imitating Chris Evans (who plays the character in both Captain America films and Avengers Assemble) and then Evans was required to imitate Hiddleston imitating him! The success of these films raised Hiddleston’s profile to the point where he was placed second place in Empire Magazine’s list of the 100 Sexiest Movie Stars of 2013, being beaten to the top slot by Sherlock star Benedict Cumberbatch. Hiddleston’s latest appearance is in the beautiful, stylish indie movie, Only Lovers Left Alive, which came out in February and allows him to present an entirely different side of his acting ability to his hordes of adoring fans. This hugely talented (and incredibly good looking) actor clearly has an exciting career ahead of him and will be one to watch in the future.